Join us for OLC Accelerate™! The Program Committee seeks proposals promoting theory, research, methodology and/or applied effective practices in online, blended, and digital teaching and learning. Celebrating our 25th Anniversary! You’re Invited! Join us in our commitment to accelerate online learning worldwide. We look forward to connecting and celebrating with you in Orlando, November 19-22, 2019. Interested in receiving updates as you consider attending? We are interested in proposals for interactive sessions for new Gamified Sessins, Discovery Sessions, Express Workshops, and Education Sessions that engage and inform participants. 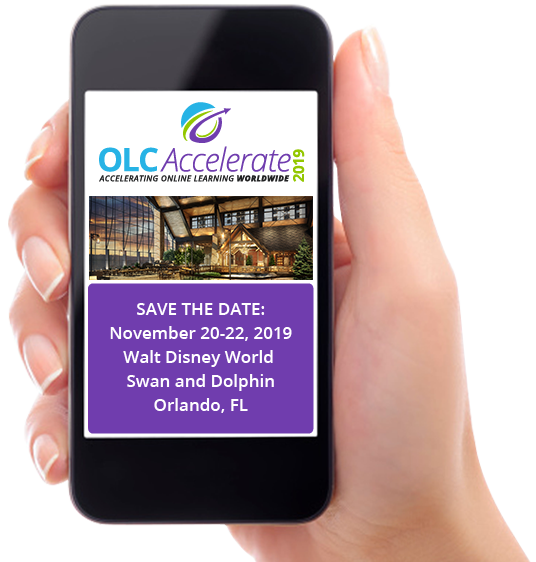 OLC Accelerate 2019 Call For Presentations is now open. Submission deadline is 11:59pm ET, May 22, 2019. What a wonderful event! Well planned, very well organized, and so many different session options that allow all participants to tailor experiences to get the most out of the conference. 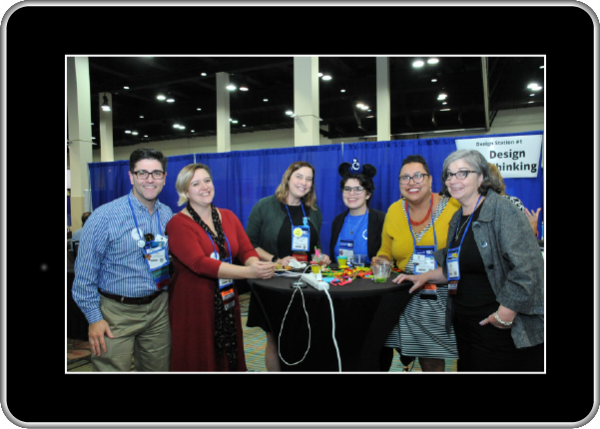 The OLC Accelerate conference provides a multitude of opportunities to network. There are many social events, as well as sessions that are truly created to further us as online learning professionals. The organization of the conference is extremely easy to follow and I love that the keynotes truly tailored their presentations to online learning. I love OLC conferences because you have the opportunity to learn from others, feel each other’s pain and struggles with advice on how to get through in this innovative time, talk to vendors, and then talk to others as to why or why not they choose to work with those vendors. I love the research aspect, the practicality, and the networking OLC has to offer. It is the only conference I ever insist on attending because it keeps me up to date in this fast changing world and keeps me grounded in research even at the administrative level. It is always a great experience to network and see what others are doing in the field. The conference gave me the opportunity to learn, reflect and critical think on topics of interest. I meet people who were willing to share their practical knowledge and their successes with others. I’ve always felt at home as a faculty member at OLC Accelerate, and this is the best pedagogical training I get. I’m an award-winning teacher, and that’s due in no small part to the tools, techniques, and strategy I’ve learned at OLC Accelerate. I would definitely recommend this conference to my colleagues because of the variety of topics and quality of the presenters. The location was great and the quality of the services was outstanding.